Severe rivalry of neighboring airports makes them resort to various tactics in order to raise their profile in the eyes of travelers. One of the latest strategies to increase a customer base consists in building strong virtual presence, which is a piece of cake with this template for a number of reasons. First, it'll represent any provider of air services as a reliable and serious company keeping everything under control. Once website visitors cast a glance at its visuals, they'll get a sense of safety through a calming effect of the color scheme while the background image will hint them that their trip will create a new direction in life bringing them closer to the sun. Don't hesitate to convince travelers they'll have a comfortable flight with the promoted company and reach their destination safe and sound. Responsive design renders a website page same exact well on any specific display size. With the expanding popularity of smartphones, the quantity of persons who log on to the websites from phones has grown a lot. Such a functionality enables you to adapt websites to smartphones and diverse screen extensions, eventually supplying cellphone consumers with enhanced options. Bootstrap is a really cost free front-end framework that creates for quicker plus easy web design training. Bootstrap is highly adaptable for any customization. It's not hard to manage with, has a excellent grid system and considerable features range. SEO-friendly WordPress themes are templates that are compatible with the widely used SEO plugins for WordPress. The Search engine ready web design makes sure that the website will be successfully indexed and positioned higher by the search engine. I like the image from the Joomla theme for Private Airline Service and would like to use it for my advertising campaign, can you send me this image in a higher resolution? No, we can't provide image in higher size or resolution rather than it is on the Joomla theme for Private Airline Service . We recommend looking for professional images on online photo resources. Are there any restrictions for using imagery, cliparts and fonts from the Joomla design for Private Jet Service I purchased? All imagery, clipart and fonts used in Joomla design for Private Jet Service are royalty-free, if not stated otherwise on the product page, and are the integral part of our products. One Time Usage License and Developers License give you the right to use images, clipart and fonts only as a part of the website you build using your template. You can use imagery, clipart and fonts to develop one project only. Any kind of separate usage or distribution is strictly prohibited. What are the advantages of purchasing a Private Airline Company Joomla template? The major advantage of purchasing a Private Airline Company Joomla template is price: You get a high quality design for just $20-$70. You don't have to hire a web designer or web design studio. Second advantage is time frame: It usually takes 5-15 days for a good designer to produce a web page of such quality. Is it reasonable to make unique purchase of Joomla design for Logistics that was already purchased before? Yes, it's reasonable to make a unique purchase of Joomla design for Logistics. Because there is very small chance that you will find the same design on the net. There are more than 3,000,000,000 webpages online now according to statistics on www.google.com. Will TemplateMonster help me to edit my Joomla design for Business Blog ? TemplateMonster offers you a variety of sources to help you with your Joomla design for Business Blog . Use our comprehensive Online Help Center to get the basic knowledge about your Joomla design for Business Blog . Our Knowledgebase contains customers questions and most frequent problems. Anyway, you can always use TemplateMonster 24/7 phone support, try our Ticket System or Live Support Chat to get qualified assistance from our support representatives. What am I allowed and not allowed to do with the Joomla themes for Business Bureau ? You may: Build a website using the Joomla theme for Private Jet Rental in any way you like.You may not:Resell or redistribute templates (like we do).Claim intellectual or exclusive ownership to any of our products, modified or unmodified. All products are property of content providing companies and individuals.Make more than one project using the same template (you have to purchase the same template once more in order to make another project with the same design). What is Developers License for Joomla design for Business Blog ? If you purchase a Developer's license, you are granted a non-exclusive permission to use the Joomla design for Business Blog on up to 5 domains for projects belonging to either you or your client. Will you help me to customize my Joomla template for Private Airplane? We do not provide any help or instructions on Joomla template for Private Airplane customization except for www.template-help.com help center. If you are not sure you can customize the template yourself we recommend to hire a design studio to customize the template for you. Is it possible that Template Monster will contact my client which website I made from Template Monster's website Joomla design for Private Aircraft? Yes, our legal department checks licenses regularly. In case we won't find designer's contact information on the site which was made from the Joomla design for Private Aircraft of ours we will contact the owner of the site directly. Can I customize the Business Company Joomla template? Yes, you can customize the Business Company Joomla template to any extent needed. You cannot use a header of the template for one project though, and images from the template for the other project. What will I see instead of the images after installation of the Joomla template for Private Aircraft Charters? After Joomla template for Private Aircraft Charters installation you will see blurred images included for demo purposes only. Will the Joomla design for Private Aircraft be deleted from TemplateMonster database? No, the Joomla design for Private Aircraft will not be deleted from TemplateMonster database. Is it possible to use your Business Company Joomla designs to develop websites for my customers? Yes. It is perfect for designers who want to offer their customers a high-quality design and also save time and money. Keep in mind that when you purchase the Joomla template for Charter Plane Rental with ordinary or exclusive license you're entitled to create only one project (one domain name). What is a one time usage license for a Joomla design for Business Company? When you buy the Joomla design for Business Company at usual price you automatically get the one time usage license. It enables you to use each individual product on a single website only, belonging to either you or your client. You have to purchase the same template again if you plan to use the same design in connection with another or other projects. When passing files to your client please delete the template files from your computer. Is it possible to reactivate my download link for Joomla design for Private Charter Airline if it was deactivated after 3 days? Yes. Please re-activate the download link for Joomla design for Private Charter Airline within your account under the Downloads tab or contact our billing department directly regarding that. What do I receive when I order a Joomla design for Logistics from TemplateMonster.com? After you complete the payment via our secure form you will receive the instructions for downloading the Joomla design for Logistics. The source files in the download package can vary based on the type of the product you have purchased.If you need unzipping software to open the .zip archive, Windows users may visit www.WinZip.com, Mac users may visit www.StuffIt.com. Can I resell the Joomla themes for Logistic Firm I bought the extended license for? No, you cannot resell the Joomla themes for Logistic Firm as is. You can only sell them as the integral part of your new product. How can I modify Joomla design for Logistics Agency to suit my particular website? Please visit our Online Help Center to obtain detailed instructions on editing Joomla design for Logistics Agency. 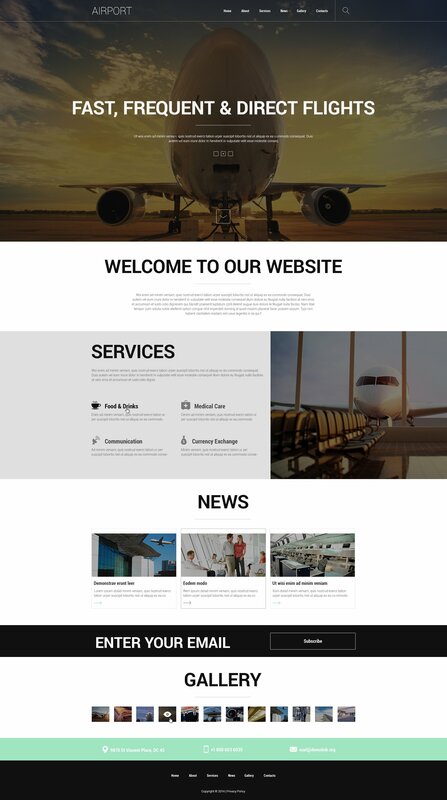 Can I get the Business Jet Airline Joomla template in higher resolution to use for printing? No, we design Joomla design themes for Private Airline Company optimized for web resolution only. What is a buyout purchase license for Joomla theme for Business Firm? If you purchase the product at a 'Buyout price' it guarantees that you are the last person to buy this template from us. It means that this Joomla theme for Business Firm may have been sold before a couple of times (see 'Downloads' number in item's properties) but only you and people who bought the template before you will own it. After this kind of purchase the template is being permanently removed from our sales directory and is never available to other customers again. The buyout purchase license allows you to develop the unlimited number of projects based on this template, but the template should be customized differently for every project. What is the price for acquiring the extended license for Logistics Joomla design? There is no set price for acquiring the extended license. The price is based on the Logistics Joomla design's unique price for those templates you would like to use for the integration. The price for purchasing license for a single template is half of the template unique price.